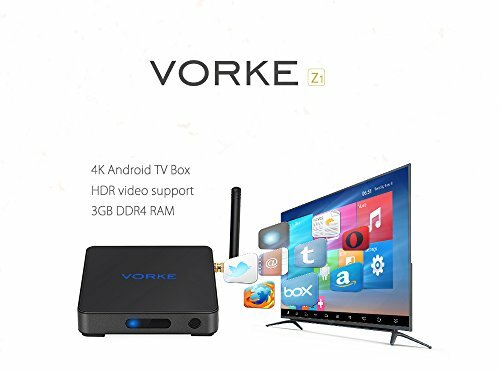 【Upgraded Version】VORKE Z1 has been upgraded from Android 6.0 to Android 7.1 on May 24th. 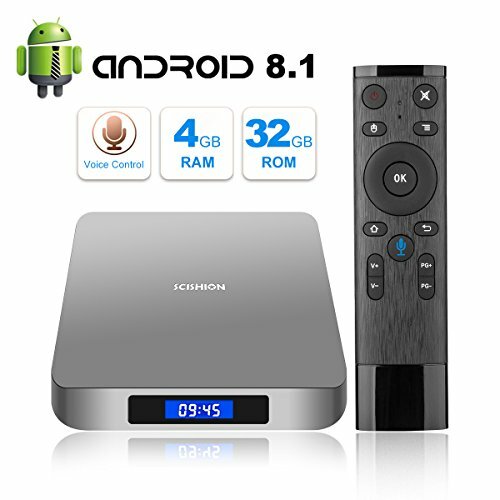 And new version's bottom is silver,old version's is black. 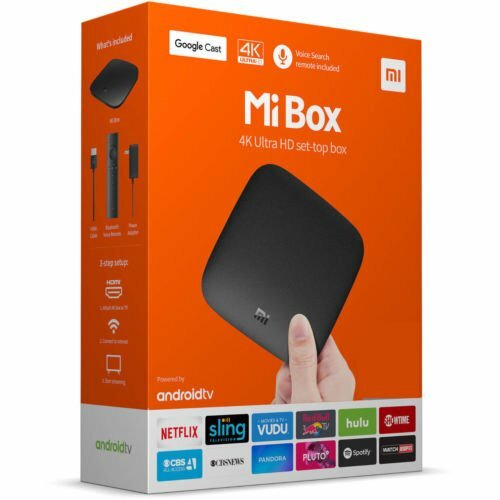 If want to update to Android 7.1, please contact with SELLER to send the update pack. 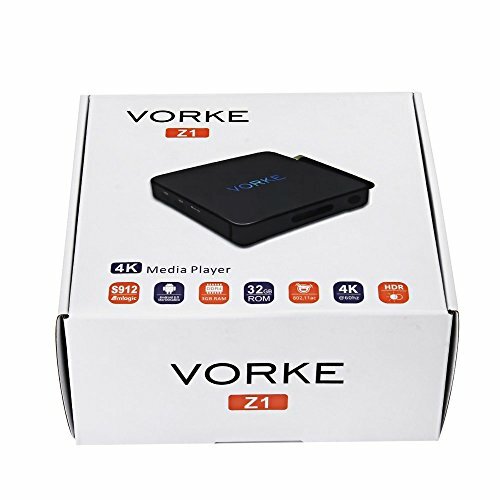 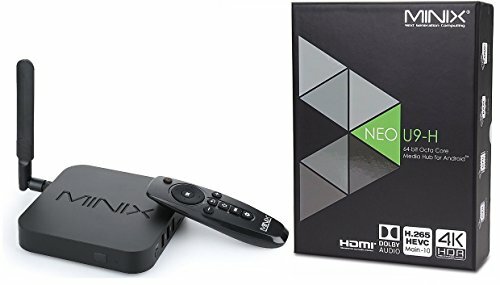 【4K VP9】Pair Vorke Z1 with your compatible 4K UHD TV, stream movies and TV shows in spectacular 4K resolution from available 4K streaming apps.Encoding your YouTube videos in VP9, the royalty free video coding format, enjoy your favourite games and videos at a higher data transfer rate without buffering. 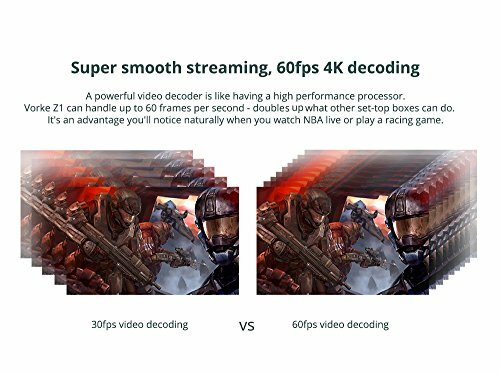 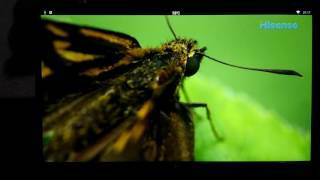 【HDR】Watch videos in detail like never before with selected HDR content, Witnessing scenes and characters come to life in vivid contrast, color, and clarity. 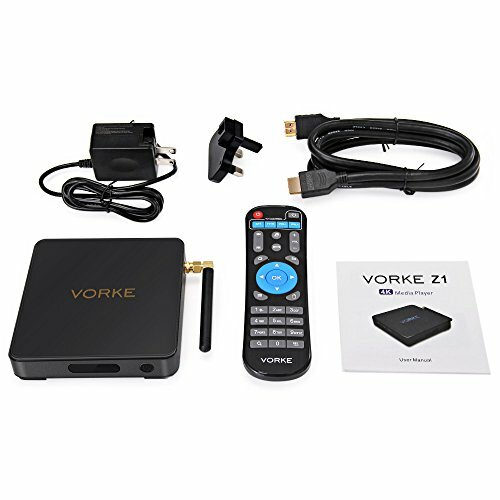 VORKE Z1 is outfitted with S912 CPU , a high performance Octa core 64bit chipset runns at a maximum clock speed of 1.5GHz. 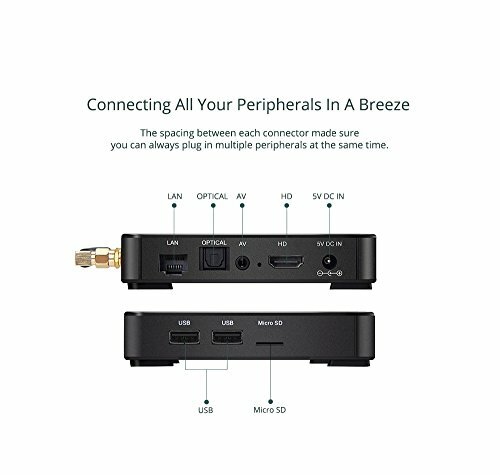 Apps will never run so smoothly in devices with other chipsets. 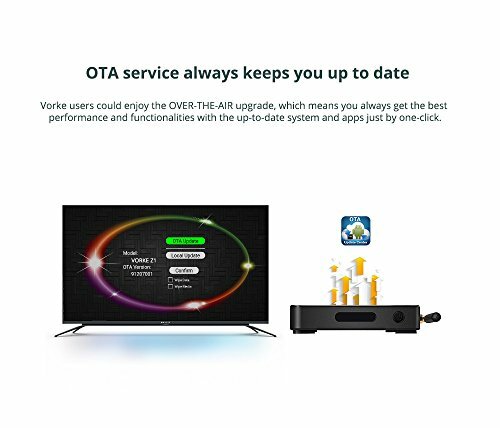 Except for various hot games, users are also allowed to install APKs with its 3GB DDR4 RAM and 32GB eMMC 5.0 Flash. 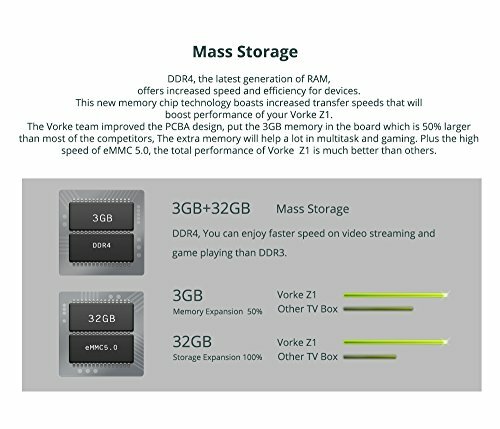 Vorke Z1 boasts 【DDR4 3GB RAM】, and 【eMMC 5.0 32GB Storage】, advantageous in performance, security and reliability, ascribing to the eMMC memory, ultimately delivering a richer end-user experience. 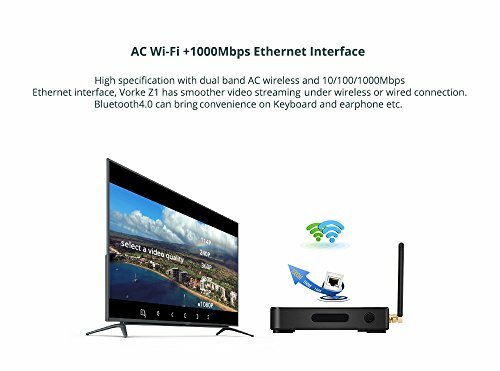 【IEEE 802.11ac】 one of the wireless networking standards in 802.11 family, is developed in the IEEE Standards Association process for the purpose of high-throughput wireless local area networks (WLANs) on the 5GHz band.【Gigabit LAN】provides a data rate of 1 billion bits per second. 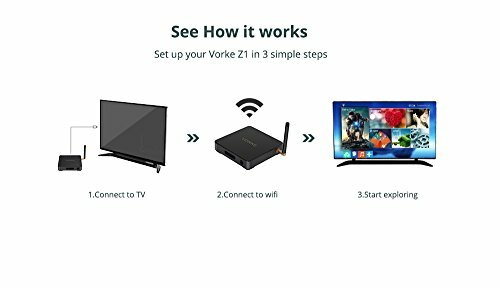 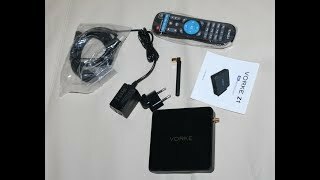 VORKE Z1 ANDROID BOX REVIEW 2017 - FANTASTIC DEVICE AT A BUDGET PRICE - ANDROID 6 - 3GB DDR 4 RAM!